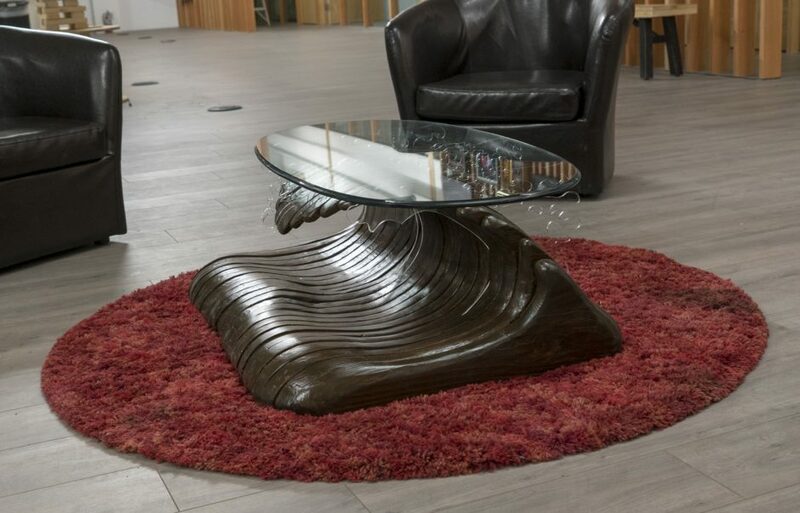 Reclaimed wood that has been shaped into a surf art breaking wave, these tables are available as a commissioned art piece. These exquisite one of a kind table are completely functional and can be made custom to your tastes in wood and color and style. Can even be sealed for use on the beach! This first sample has limited detail and smooth curved soft edges. The plexiglass pieces can be made in a variety of styles and can fill in all the separations. The plexiglass pieces and can even light up with colored edges that can be set to a color or change colors with music. Another option for the separations is metal ribs cut like the plexiglass. The only limitation is your imagination! Lets discuss your goals!